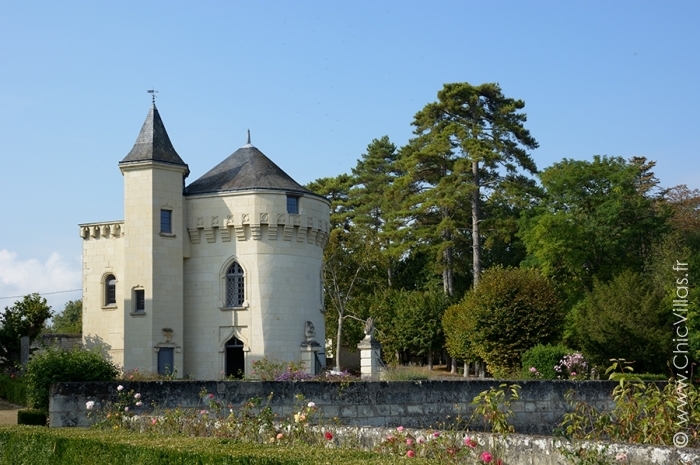 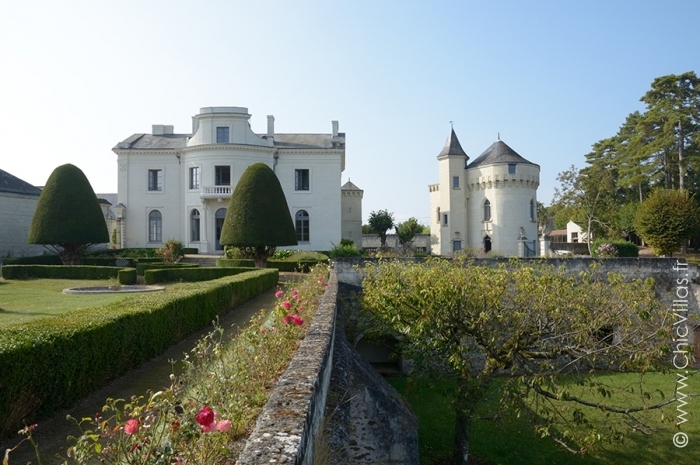 Uniquely situated in a vast park bordering the Loire and the Vienne rivers, the “Spirit of Loire Valley“ chateau overlooks a charming village and dominates the Loire. 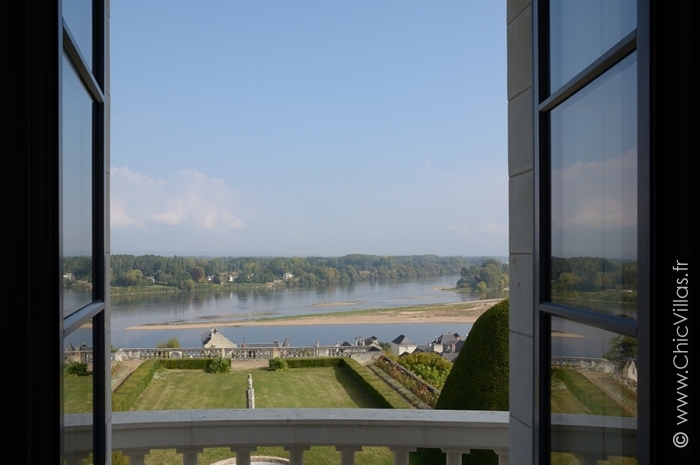 This historic building provides sumptuous views overlooking the terraces of the park, the typical roofs of the village downhill and, on the horizon, the river banks sown by sand where the migratory birds sojourn. 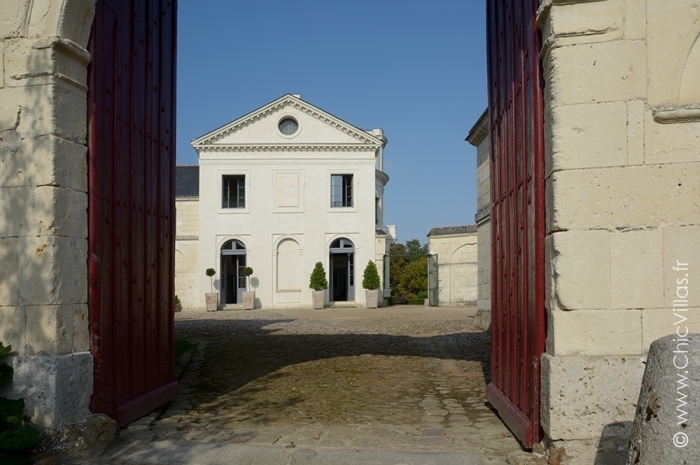 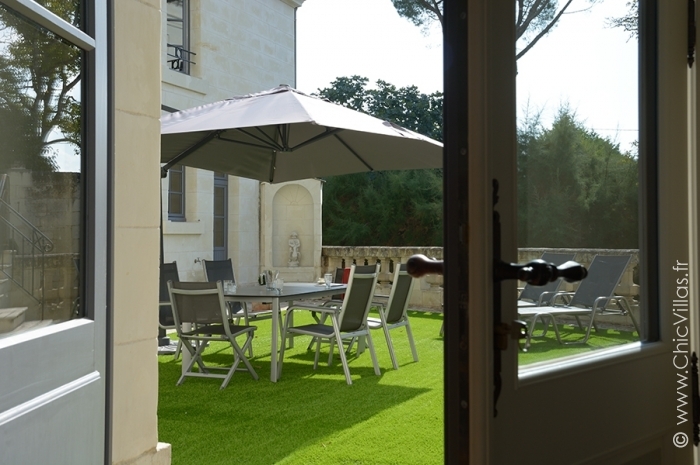 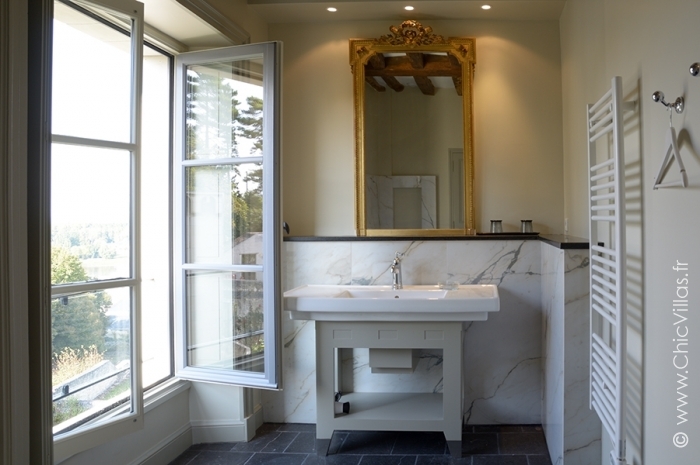 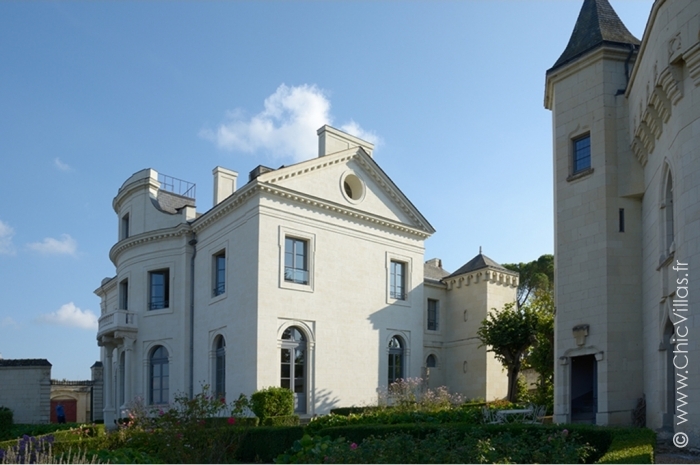 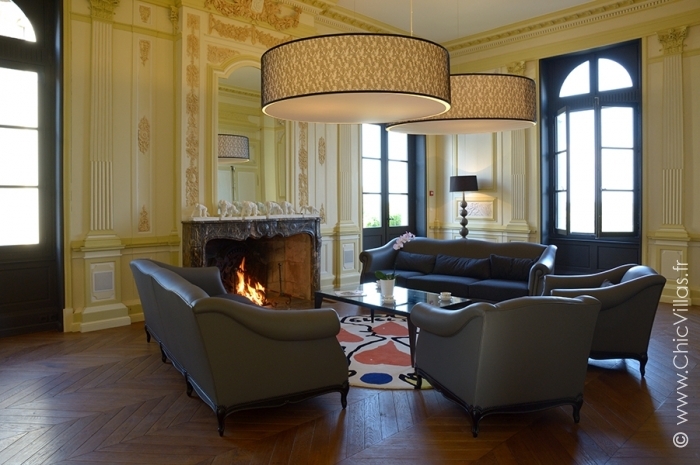 Completely restored, with a décor combining both contemporary and historic elements, this chateau and its completely private park embodies the classification of “grand luxury”. 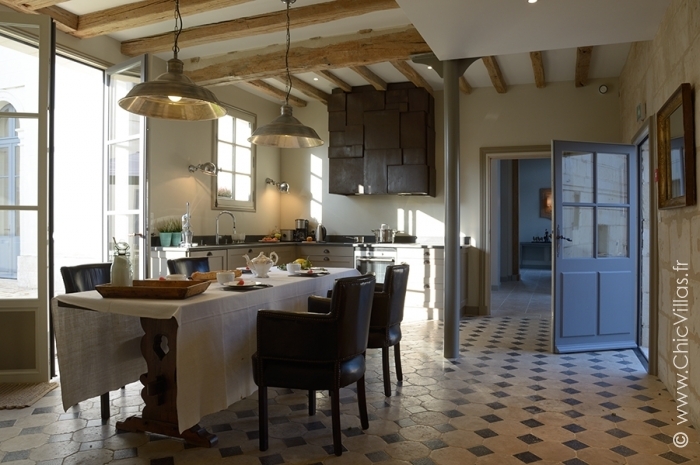 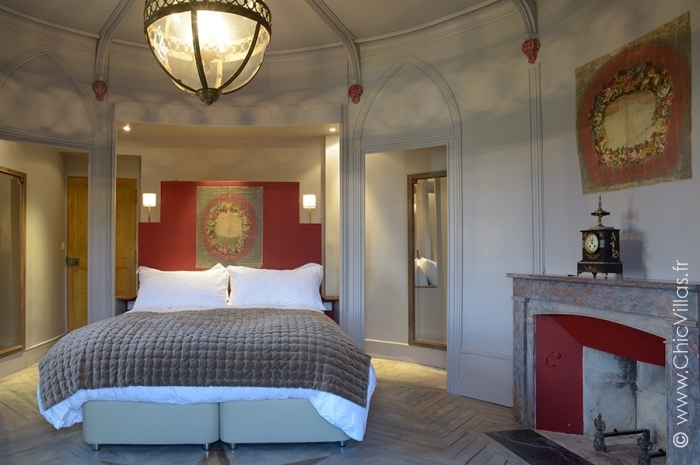 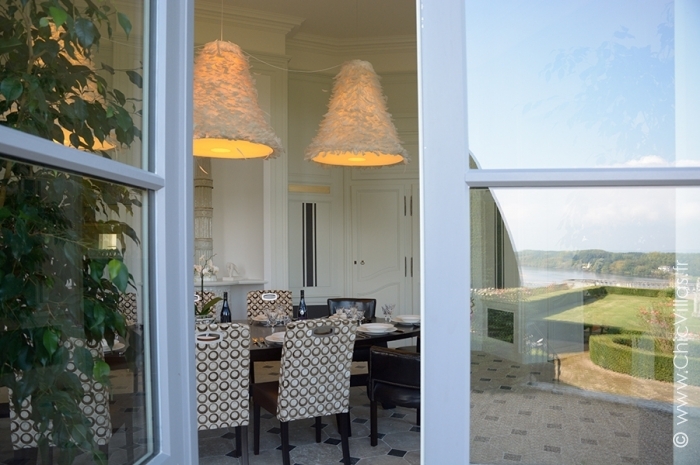 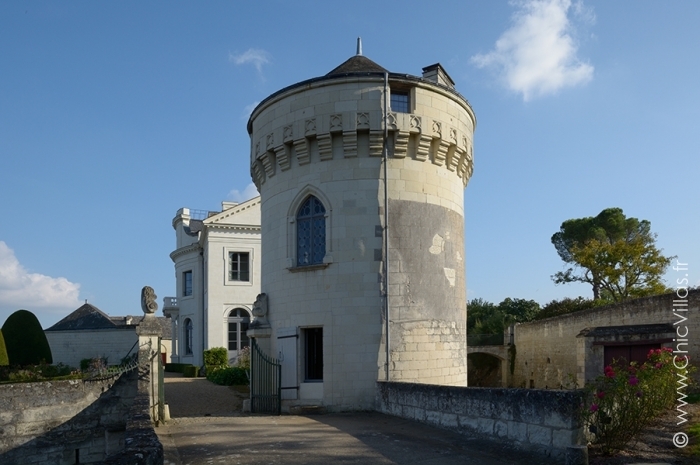 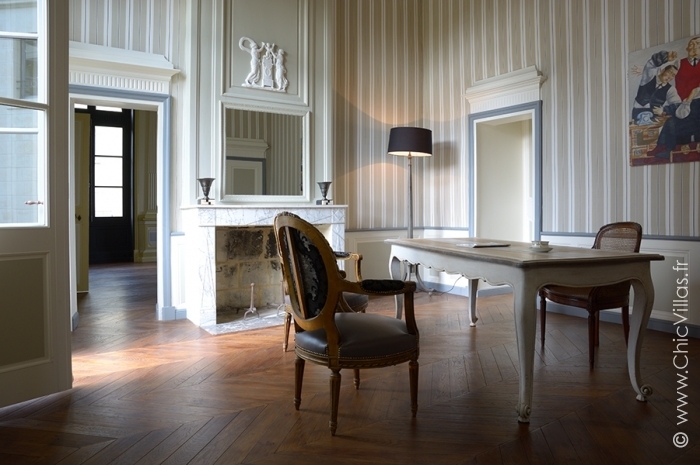 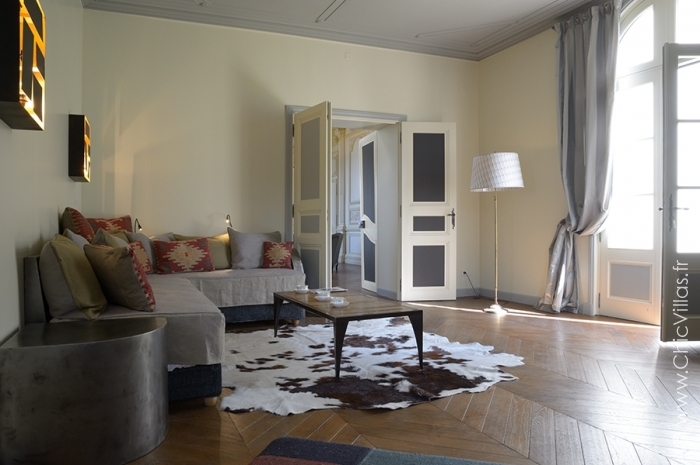 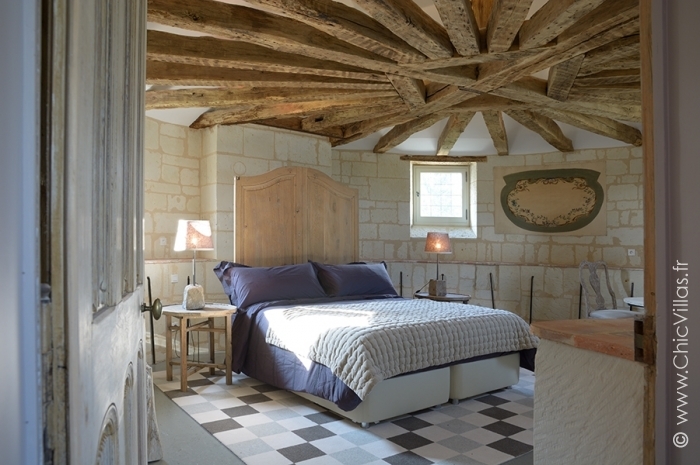 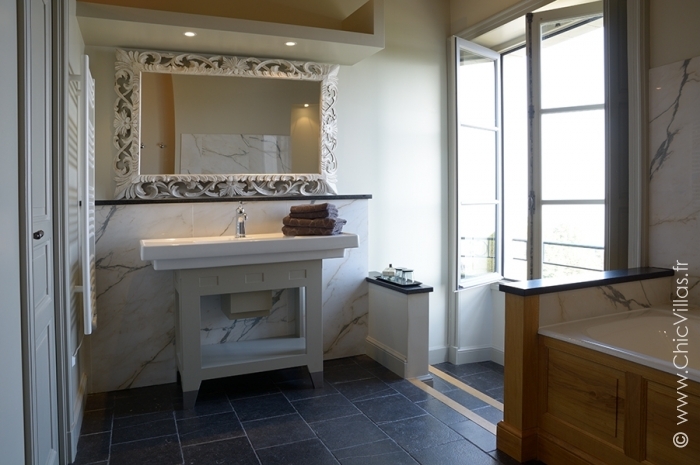 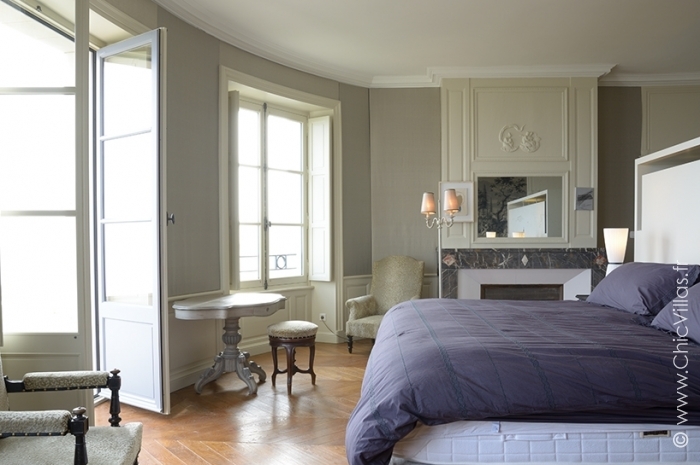 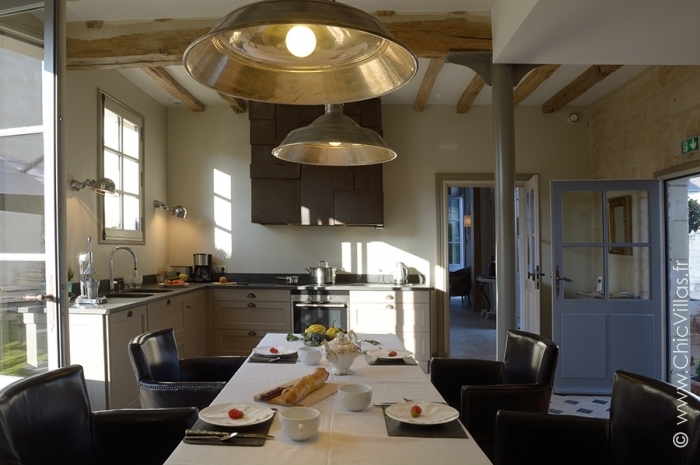 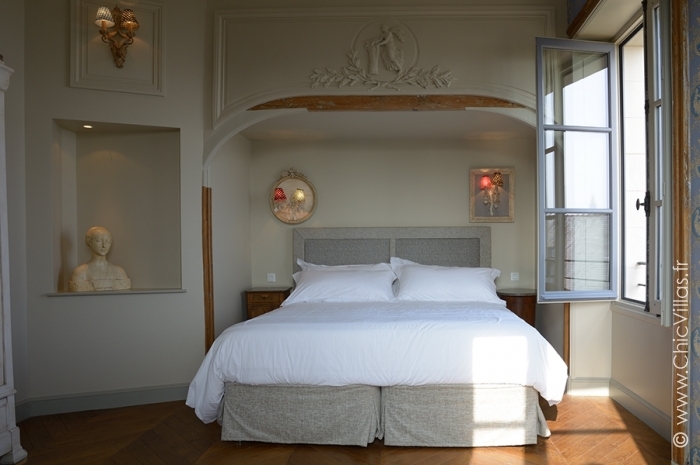 Eight stylish suites are situated throughout the chateau and the adjoining tower. 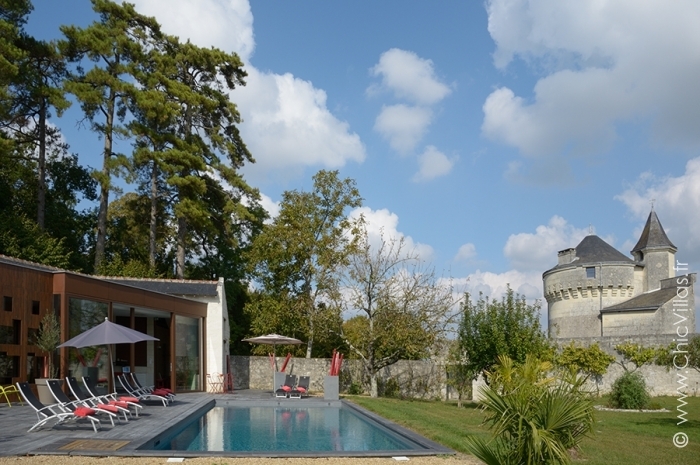 Shared access to a “well-being” area, situated in the heart of the orchard behind the chateau, is granted by charming stone bridges that span the moats of the chateau. 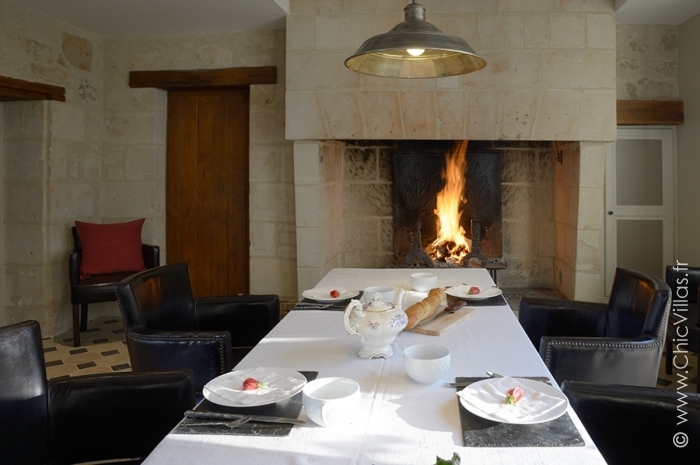 This area features a heated outdoor pool, an interior pool for wintertime, a sauna and unlimited access to the vegetable garden. 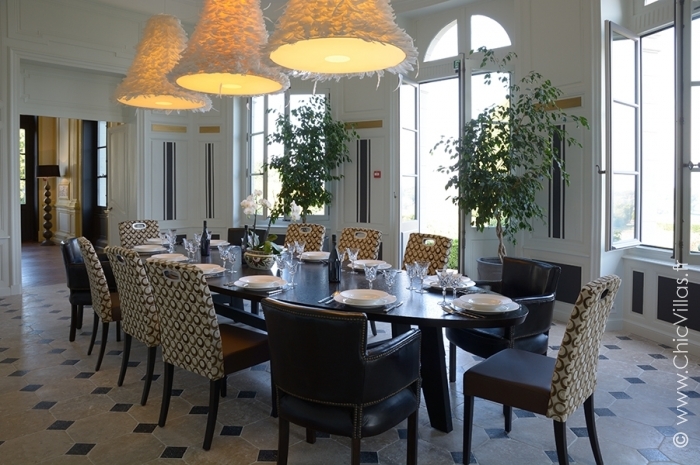 The "Spirit of Loire Valley" welcomes you for a unique experience in the heart of the Loire Valley, a historical region known for its chateaux and its excellent wines. 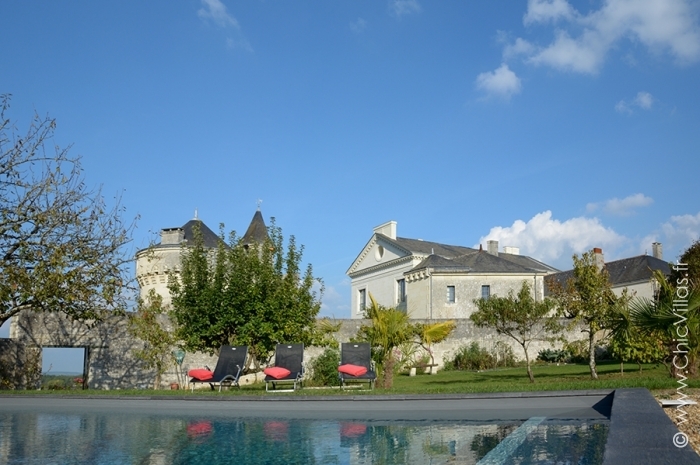 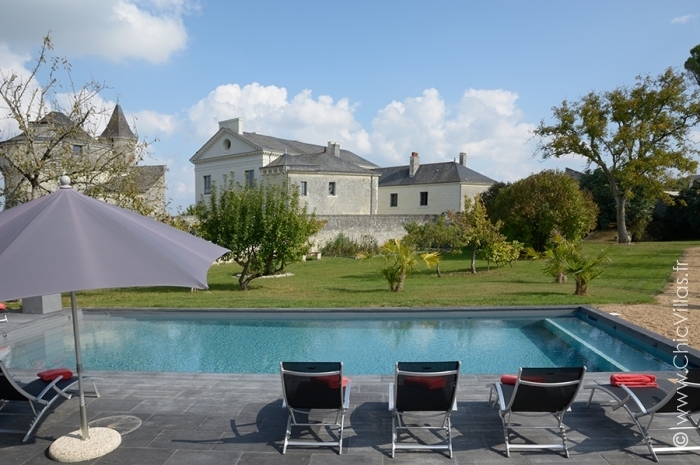 This prestigious chateau comfortably accommodates 18 people, with the possibility of securing additional deluxe accommodations for up to 30 people outside of the chateau. 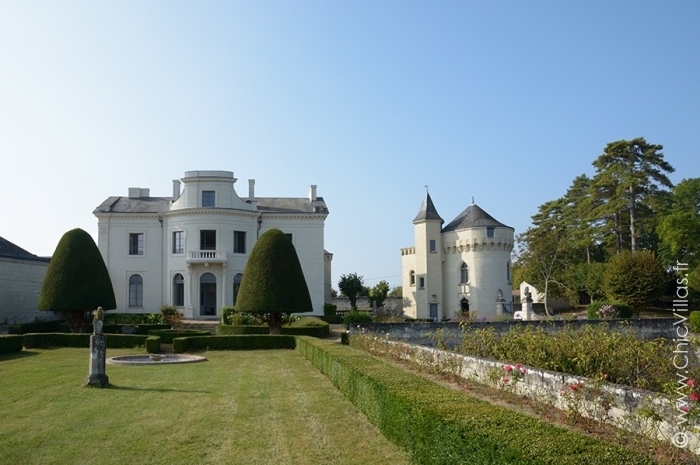 NB : The chateau is also available for your ceremonies or work seminars. 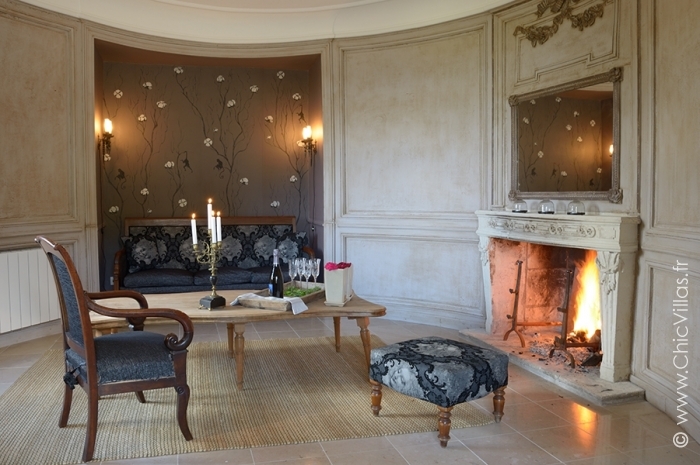 As an option, you could add a large reception room and exceptional troglodytic rooms. 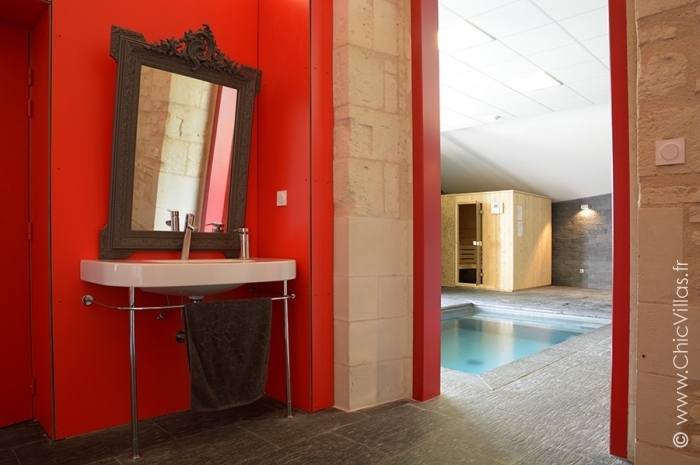 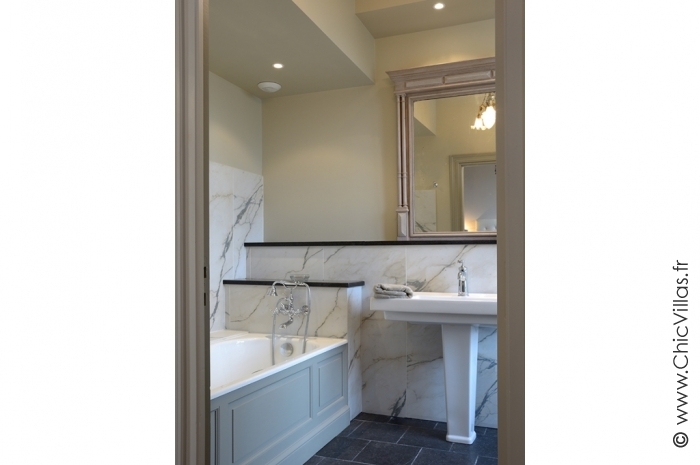 - A small TV room (23m²) with private bathroom with shower and WC. 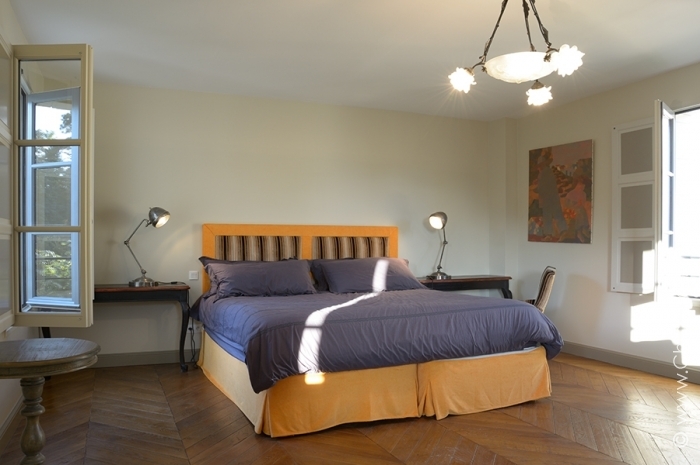 Upon request, could be furnished as an additional bedroom for someone in a wheelchair. 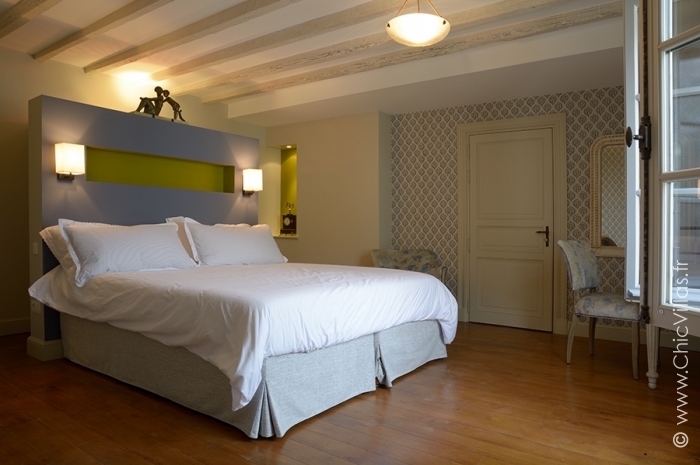 - A bedroom suite (30m²) with a double bed 1,80m (2x 0,90m, twin), bathroom with shower and a WC with a separate entrance. 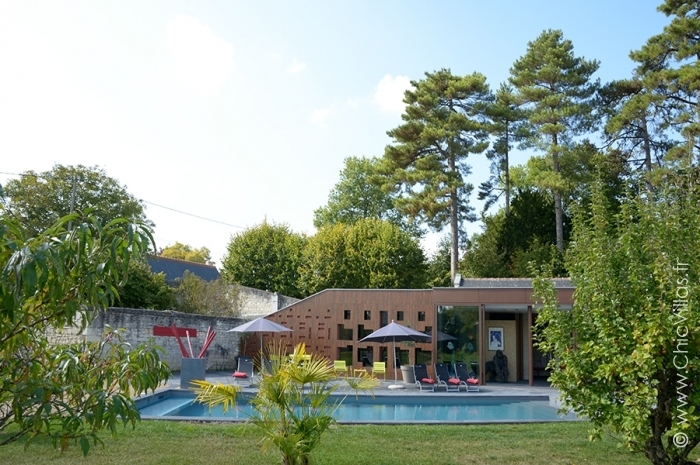 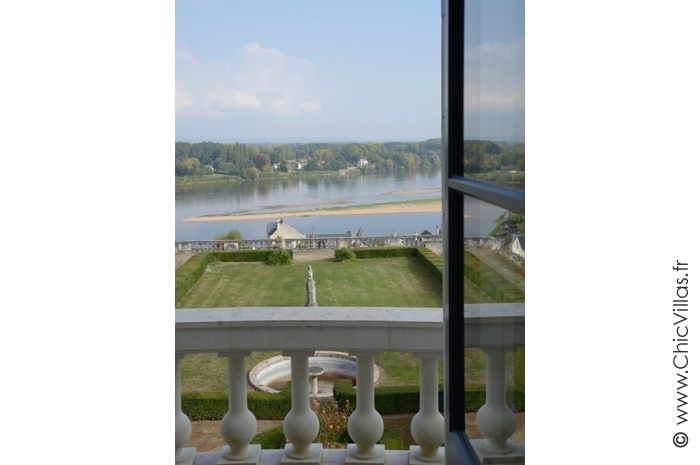 - A park with terrace gardens overlooking the Loire.